Dr. V Kurien’s life-long purpose of work can be summed up in one word: ‘empowerment’ – empowerment of small and marginal farmers and landless laborers. Apart from the Milk Revolution that he spearheaded so successfully, his work has greatly impacted on the lives of millions of cooperative dairy farmers — socially, politically, and most importantly, economically. The milk revolution is, in fact, a by-product of the empowerment he brought about through the Amul-model (also known as Anand-pattern) dairy cooperatives. In Dr. Kurien’s words, he was not in the business of milk. Milk was only the ‘medium’ that he used to empower the farmers. 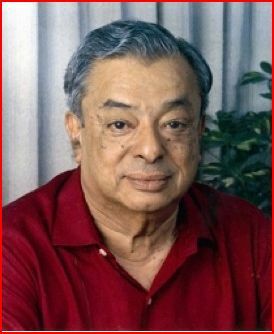 Dr. Kurien has many titles, the most common being ‘the Milkman from Anand’. He is also recognized as ‘the Father of White Revolution’. India Today recently wrote on him under the title ‘White Knight’. He was the founder-Chairman of several world class organizations like NDDB, GCMMF (Amul), IRMA and so on. He has been a great institution builder. He has held very high positions in Government organizations as well, as Chairman of GEB; Vice Chancellor of GAU; Director, Central Board of RBI; Director, LIC; Director, IDBI and Director, Bank of Baroda; to name a few. Some time back, the Government of India had appointed him as the Chancellor of the Allahabad Central University. He was also closely associated with the making of internationally acclaimed feature films like ‘Manthan’ and ‘Sardar’. Many management institutions have conducted case studies on his management style. Besides numerous National Awards (including Padma Shree, Padma Bushan and Padma Vibhushan) and International Awards which include World Food Prize in 1989, Carnegie Foundation’s Wateler Peace Prize in 1986, International Person of the Year Award by the World Dairy Expo in 1993, Ordre duMerite Agricole by the Government of France in 1997, the Regional Award from the Asian Productivity Organization of Japan in 2000, Dr. Kurien has received around 15 honorary Doctorates and more than 10 ‘Fellowships’ from leading foreign and Indian Universities / Academic Institutions. The only National Award that has eluded him is the ‘Bharat Ratna’. Recently, when a journalist at the Economic Times asked him about it, he said “why ask me, ask those who give it”.